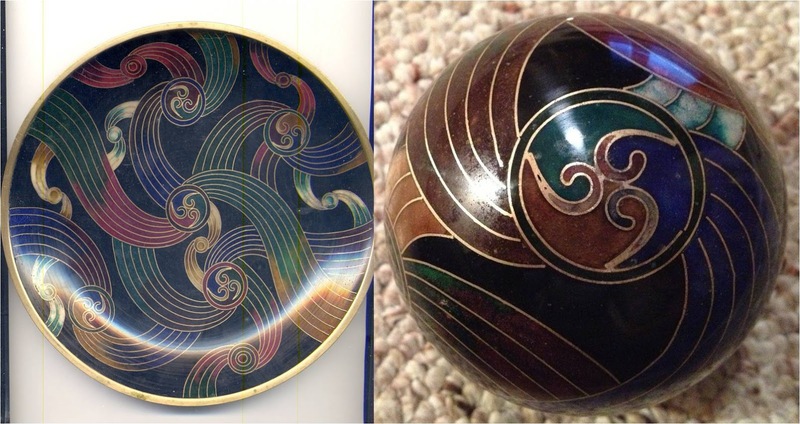 The September-October 1985 issue of Arts of Asia magazine features a 4-page article by Ursula Roberts on the cloisonné atelier of Kuo Ming-Chiao, father of Robert Kuo. 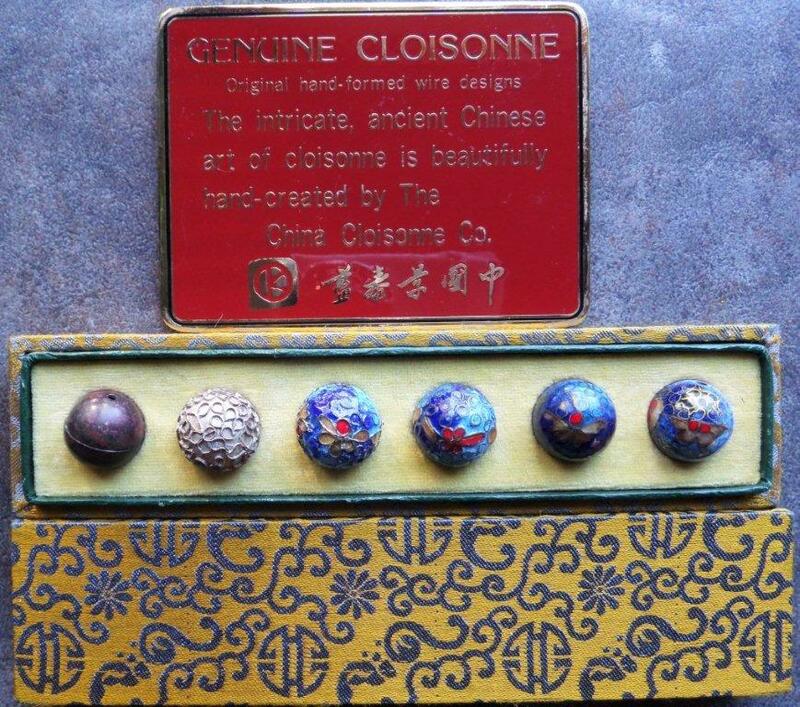 For collectors of Kuo cloisonné, this Arts of Asia issue seems to me a must-have for its biographical information and photos of Kuo Ming-chiao and his work. Ten photos accompany the article, including five showing workshop artisans in the process of lathe-turning copper pieces, applying the cloison wires, filling with enamel, firing, and polishing. 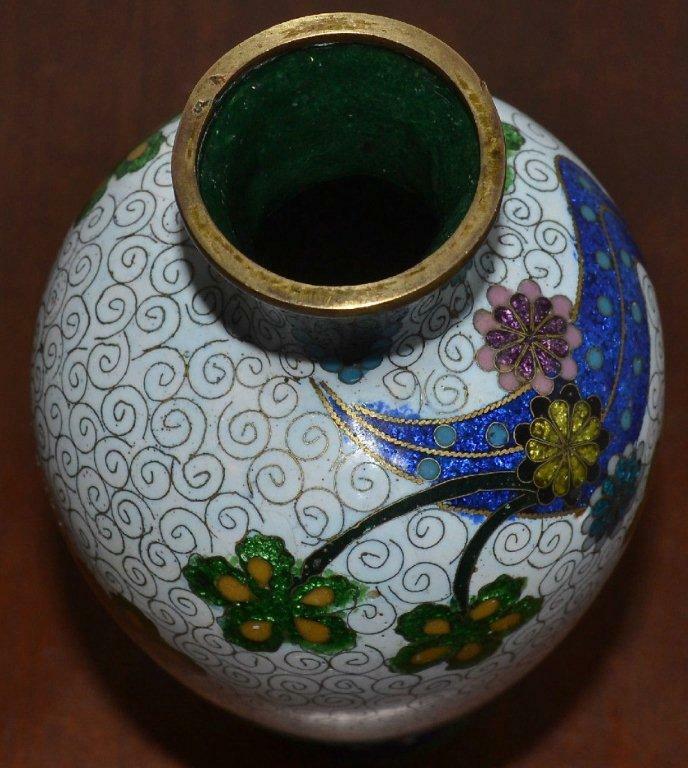 Note the use of twisted wire, a feature sometimes found on Japanese cloisonné pieces such as this small white vase. The inside back cover features some spectacular modern red/black/gold pieces under the trademark of the Robert Kuo Ltd. Gallery. Courtesy of eBay vendor benbeiswanger. Note how the brocade pattern of this boxed set matches the brocade for Kuo boxed bead sets demonstrating the cloisonne process. 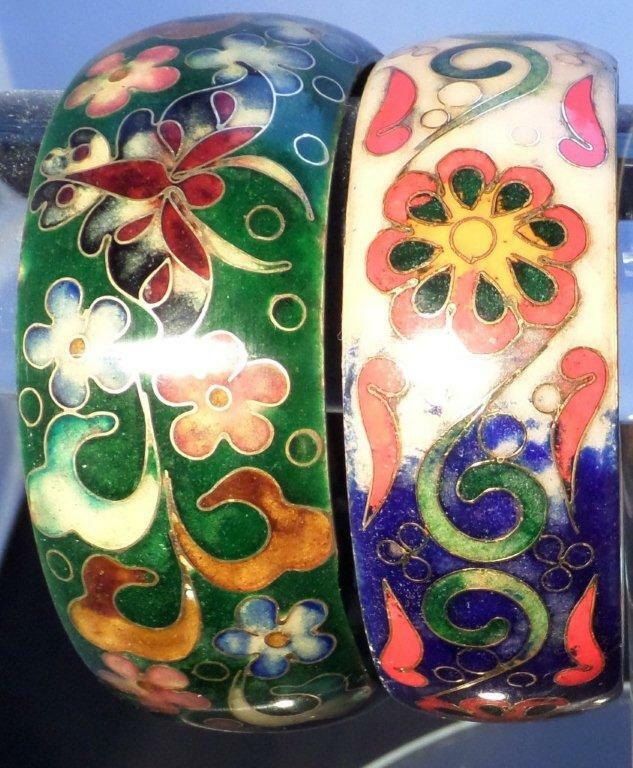 The Arts of Asia article's photo of the polishing process shows a bowl of similar wide bangles alongside the artisan.